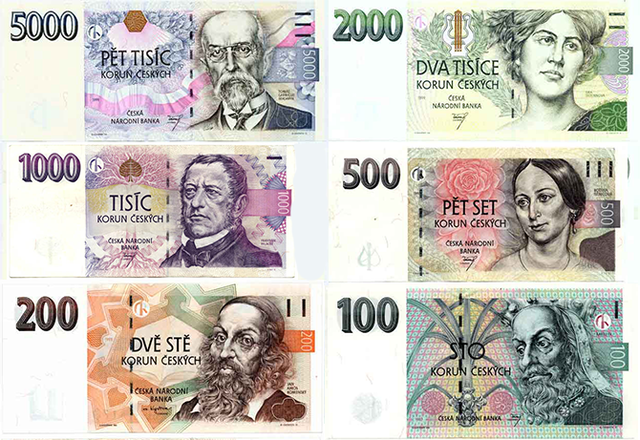 The official currency of the Czech Republic is the Czech Crown = Česká koruna (CZK = Kč). Exchange of foreign currency is available at the airport and principal railway stations (ATM machines and exchange offices) and at most hotels, banks and exchange offices throughout the city. ATMs with 24-hour access are available also in most Metro stations (the nearest to the Faculty are Staroměstská and Můstek) and many streets (the nearest to the Faculty are Kaprova, Na Příkopech, Rytířská). 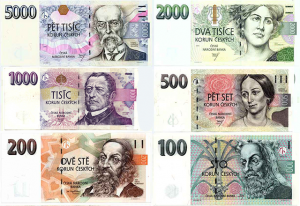 Exchange rates available in exchange offices are very often valid for exchanging CZK for EUR, not the other way round. Exchanging EUR for CZK tends to be less advantageous for the buyer. Before you give your money to the exchange office staff, it is always advisable to ask how much are you going to get. International credit cards are accepted as payment in hotels, restaurants and shops. Payment in cash in EUR is also possible at most restaurants and shops, please ask for details on-site. You can find the official exchange rates on the website of the Czech National Bank at www.cnb.cz.